Cigarettes once earned teens points with the cool kids. That was until the dangers of smoking tobacco rose from the ashes. Now a new trend is gaining similar momentum: vaping. Big tobacco companies are also paying attention and getting in on the action. The e-cigarette brand VUSE is owned by R. J. Reynolds Vapor Company (a subsidiary of Reynolds American, which manufactures Newport, Camel and many other cigarettes). Altria, the parent company of Philip Morris, runs MarkTen. And British American Tobacco, makers of Lucky Strike, Pall Mall and others, launched Vype in 2012. 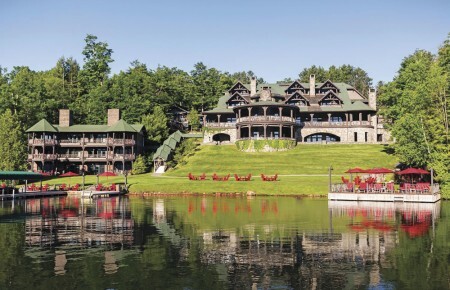 The industry is booming: the market value is expected to grow from a current $10 billion to $34 billion by 2021. Vaping devices, which turn liquid into an inhalant, gained mainstream appeal about 10 years ago. Many believe they are a safer alternative to cigarettes and are absent of toxic chemicals and cancer-causing elements. That’s why smokers are turning to them to stop their cigarette addictions. But vaping has doctors and public officials worried. 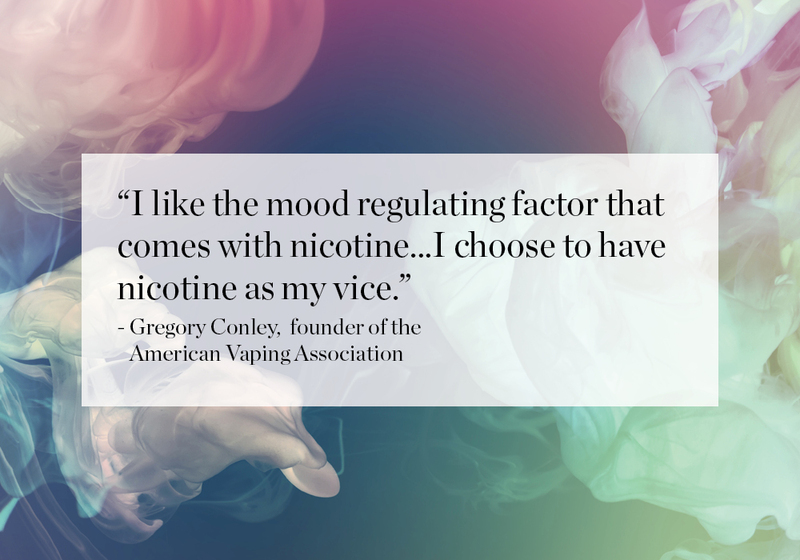 Many vaping liquids are in fact filled with addictive nicotine and chemicals that some studies have found to be detrimental to health. Their biggest concern? Teens are getting hooked. Opponents say e-cigarettes, which aren’t regulated by the Food and Drug Administration (FDA), appeal to a younger demographic because of the misinformation about health effects. Another reason is the flavoring. 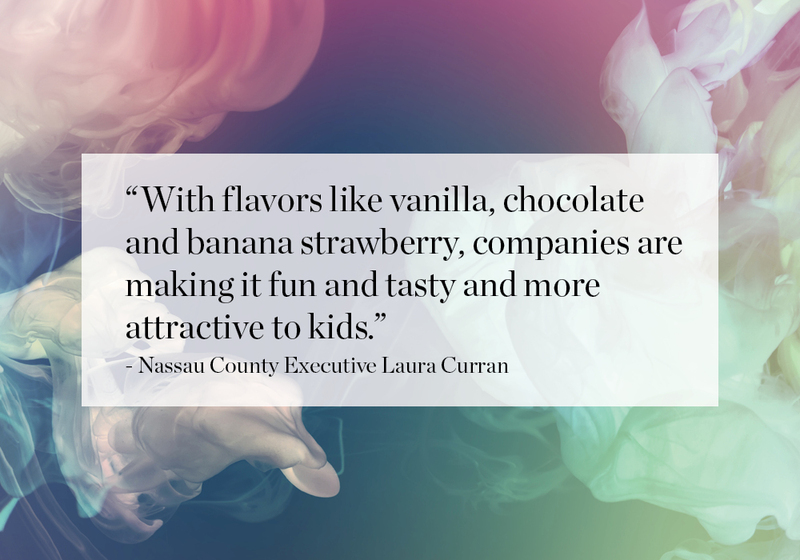 “With flavors like vanilla, chocolate and banana strawberry, [companies] are making it fun and tasty and more attractive to kids,” said Nassau County Executive Laura Curran. 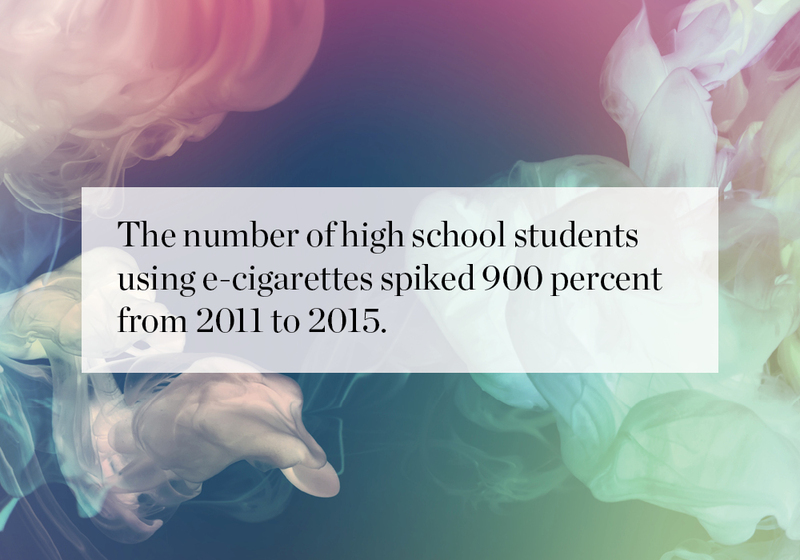 The number of high school students using e-cigarettes spiked 900 percent from 2011 to 2015, according to the U.S. Surgeon General. Nearly 28 percent of seniors were vaping in 2016, the National Institute of Health reported. When asked what they were vaping, 52 percent said “just flavoring” while 33 percent admitted to inhaling nicotine. The latter is what concerns Dr. Sara Siddiqui, a pediatrician at NYU Langone Huntington Medical Group and Hassenfeld Children’s Hospital. “You’re priming young adolescent brains to become more addicted, which can cause mood changes, depression and anxiety,” she said. It can also potentially lead them to try cigarettes and drugs. “Once you introduce something like this to [teens], it’s more likely for them to [get hooked on] other things that are more risky,” Dr. Siddiqui added. Some teens are taking things further, using vape devices to smoke THC, the psychoactive agent of marijuana. The fact that they think they’re not “smoking pot” doesn’t make it any less illegal. Nassau County police made 990 arrests in 2017 for users vaping THC. They already made 410 arrests as of April of this year. “Speaking with our police commissioner Patrick J. Ryder, seeing the increase in vaping THC arrests—I knew that we had to address this,” said Curran. She pointed out that anyone can bring a vaping device to police headquarters or to a local precinct to test for THC free of charge. Schools across the country are attempting to deal with the vaping issue by sending letters home to educate parents and students and by hosting workshops. Plainedge High School on Long Island is taking it a step further by becoming part of a pilot program for the sensor system Fly Sense, which sets off an alarm once vape is detected. It can be installed in bathrooms and locker rooms. These measures may be necessary. Harvard University researchers found the chemical diacetyl in more than 75 percent of the flavored electronic cigarettes and refill liquids they tested. Diacetyl is a chemical, which the Centers for Disease Control and Prevention describes as “a prominent volatile constituent in butter flavoring and air” found at microwave plants. Dr. Siddiqui pointed out this can cause bronchiolitis obliterans or what’s now referred to as popcorn lung. The narrowing and thickening of the airwaves mirrors symptoms of chronic obstructive pulmonary disease or chronic bronchitis and causes lung tissue scarring. That’s not all. The American Academy of Pediatrics published a study in March finding several harmful toxicants—propylene oxide, acrylamide, acrylonitrile and crotonaldehyde—in the bodies of adolescents who use e-cigarettes. These have the potential to cause cancer, the reason why the authors believe e-cigarettes should come with health warnings on the packaging the way cigarettes do. But if you ask the authors of the American Academy of Pediatrics study, that’s not convincing enough. 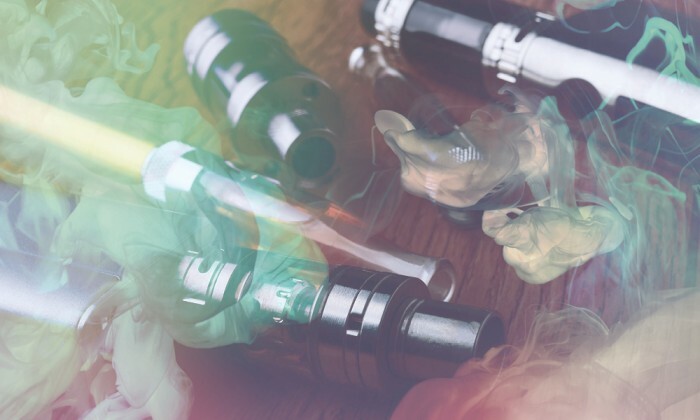 “While e-cigarette vapor may be less dangerous than combustible cigarettes, with lower overall exposure to VOC toxicants, our findings challenge the idea that e-cigarette vapor is safe,” they wrote.